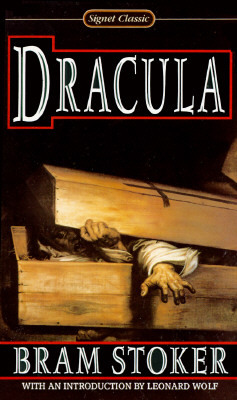 Count Dracula sleeps in a lordly tomb in the vaults beneath his desolate castle. His stony eyes are open. His cheeks have the flush of life beneath their pallor. On his lips -- a mocking, sensuous smile and scarlet-fresh blood. He has been dead for centuries, yet he may never die....Here begins the story of an evil ages old and forever new. It is the story of those who feed a diabolic craving into the veins of their victims, into the men and women from whose blood they draw their only sustenance. It is a novel of peculiar power, of hypnotic fascination. The reader is warned that he who enters Castle Dracula may not escape its baleful spell, even when he closes this book.